When do you think you've made it to the land of financial freedom? Then I started writing, thinking, and talking about money matters on a daily basis, and that number changed. Sometimes, all the glamorous advertisements and a few impulse purchases would prompt me to increase this number. Other times, I would be reminded that material happiness is just temporary relief and I would lower the number. It slowly occurred to me that financial independence isn't merely hitting a number, but being in the right state of mind. Some people can't retire until they have $12 million in retirement funds, while others can live on $300,000. The difference has nothing to do with the ability to find coupons, but it has everything to do with their expectations. The funny thing is that I probably know more happy people who don't have oodles of money than satisfied, wealthy people. This may sound counter-intuitive, but the more money people have, the more money they seem to need. Of course, the money is not for survival purposes; they want more because they compare. Wealthy people are exposed to more luxury, and they subsequently want more. They see ultra expensive stuff, and they want everything. Every company is out there trying to get more sales. No matter how much money you have, you won't have enough to buy everything out there. If you keep chasing, you will always need to run. You cannot win. It is very easy to look at our assets and see if we can meet a certain retirement number that a financial article would cite, but honestly, who cares what someone else's number is? If you have $1 million in retirement funds right now, have your house paid off and have expenses of less than $1,000 a month, why does it matter that someone else thinks they need $3 million to retire? On the other hand, if your expenses are $20,000 a month and you have $3 million, of course you can't retire yet. You need way more than what you have. And you know what? I bet the other guy with $1 million is happier than you, too. 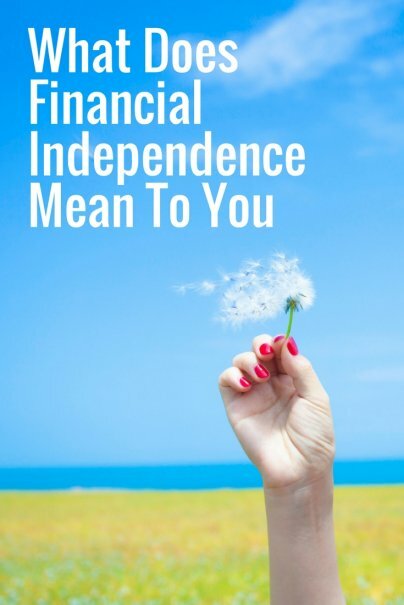 Financial independence is not needing to base your living decisions on financial constraints. You can achieve freedom with more money or less spending. Which road you decide to take is entirely up to you. Just realize that once you reach a certain level of income, keeping your spending in check is a much easier way to keep up. Nice points, changing your perception so that you do not need to follow what others desire will make your own situation more content. Great post and insight David! There are many things (peer pressure, comparing to others, etc) that contribute to the more money you make, the more you spend and need behavior pattern. However, if you spend smarter and make wiser financial decisions you can live on less and have more financial independence. Agreed with this post...especially the last part. At some point, it becomes very difficult to increase your income, especially if you choose to work for someone else, rather than yourself. My wife and I are early in our careers, so increasing our income is relatively easy right now. However, it is just as easy to decrease our expenses, and truth be told, that is in my opinion the best way to reach financial independence. It is much easier to walk away from full-time work if you only spend $1,000 per month versus 5k or 10k per month.